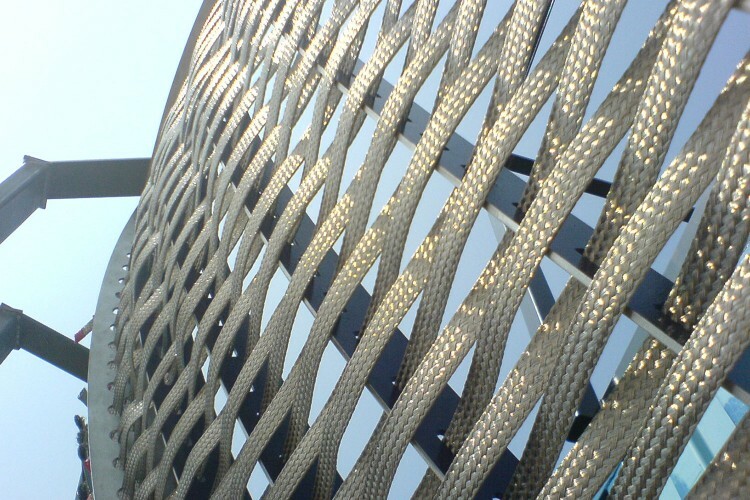 Our challenge on this project was to create a complex 3 dimensional form with simple 2 dimensional elements. 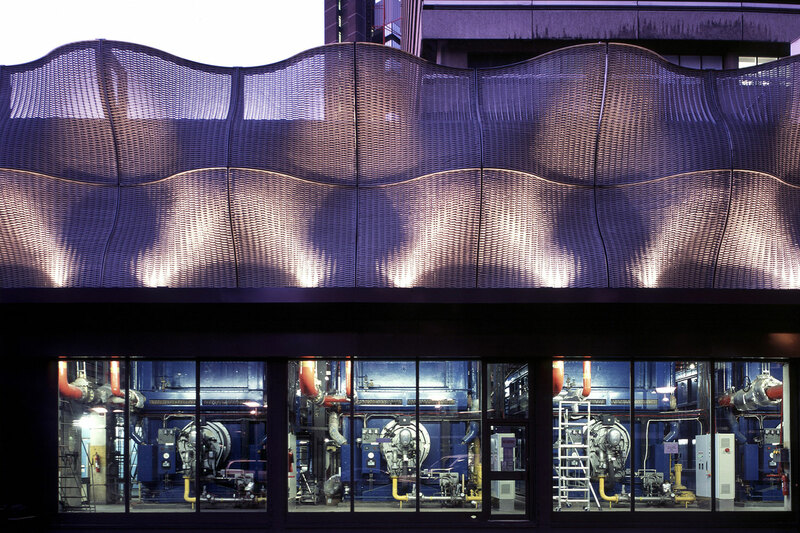 The centrepiece of the scheme is the ‘Boiler Suit’, a facade surrounding the boilers that power the hospital. 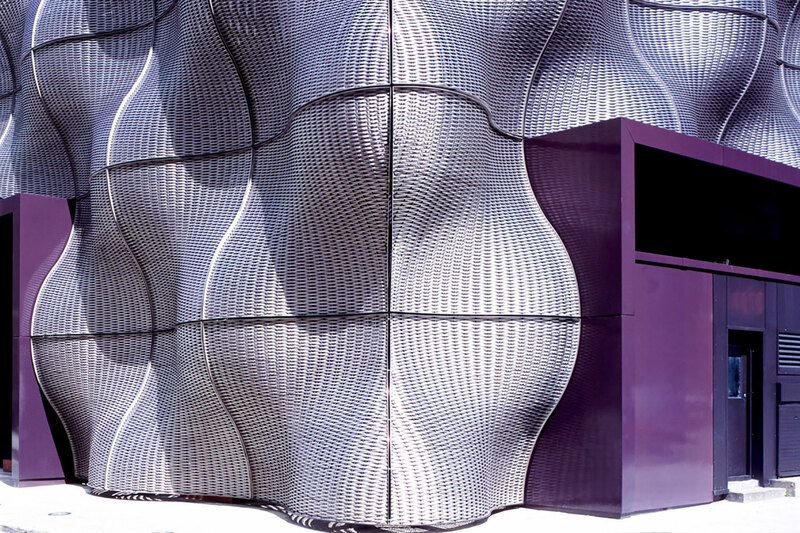 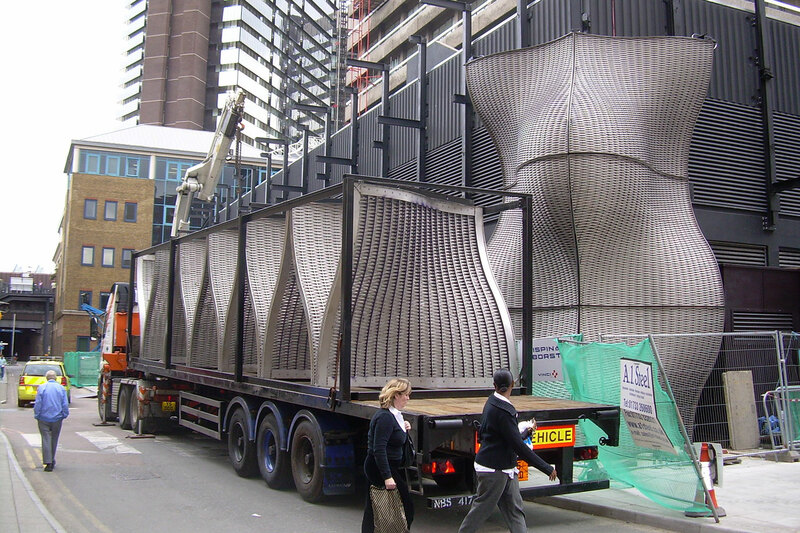 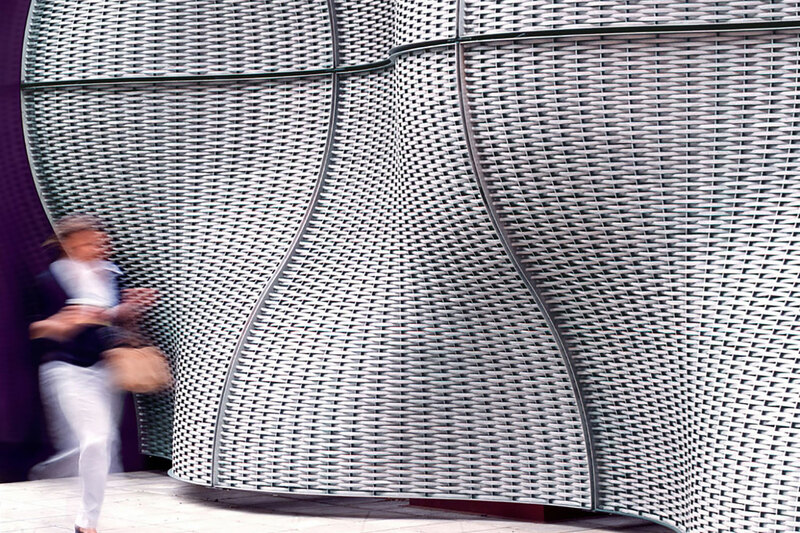 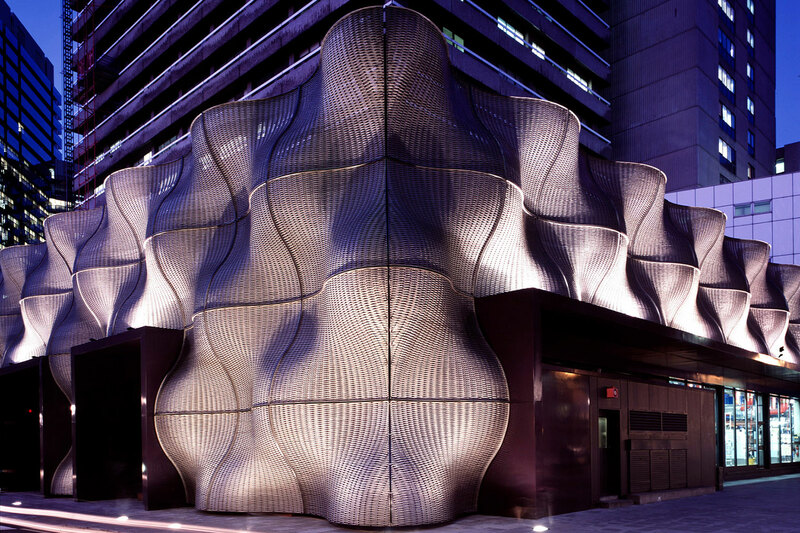 The final facade is formed of 108 tiles made of 40km of woven stainless-steel braid. At night the Boiler Suit is illuminated ‘to provide a distinctive welcoming beacon for staff and visitors arriving at the hospital’. 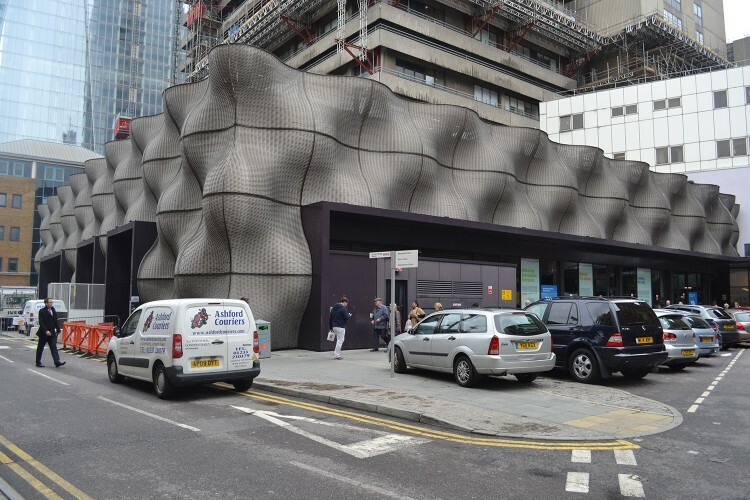 The scheme also includes widened pavements, a one-way traffic system with designated drop-off points, new signage, CCTV, lighting and a new build shop. The project has been funded by the Pool of London Partnership, Guy’s and St Thomas’ Charity and the Friends of Guy’s Hospital. 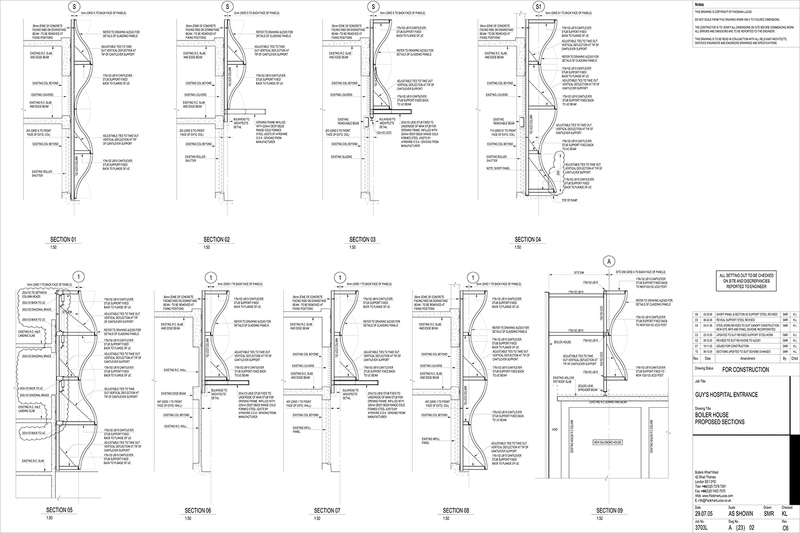 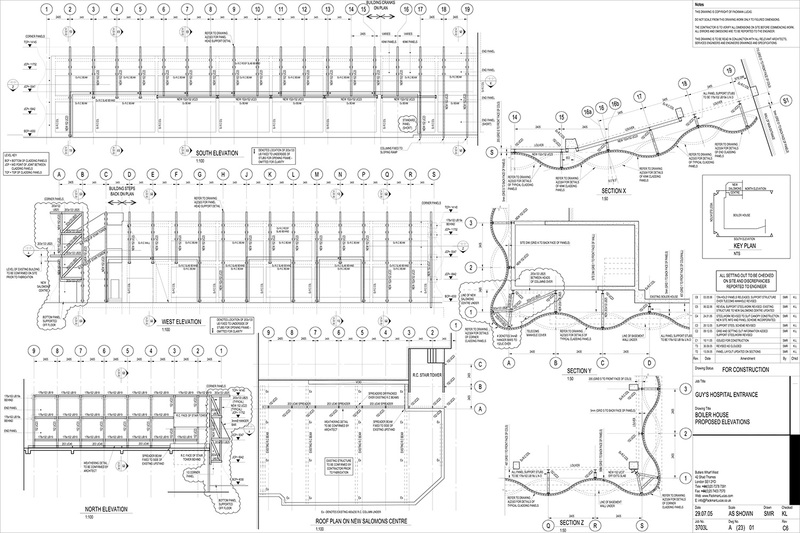 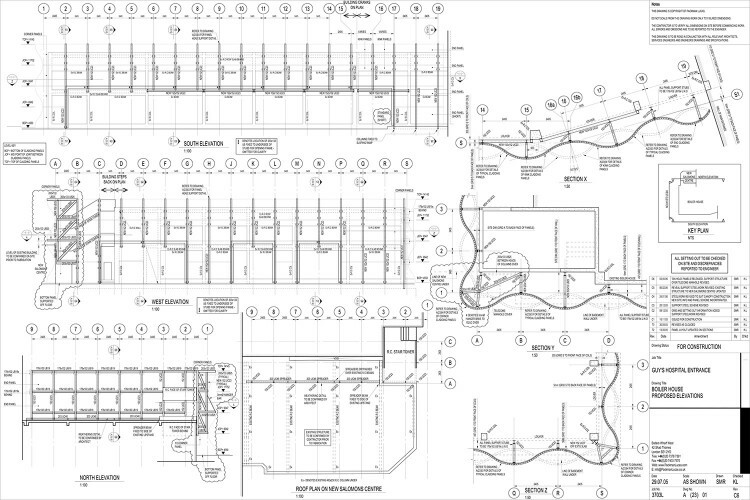 Kevin Lyons engineered the structure whilst a Director at Packman Lucas.